Casual weekend wear. 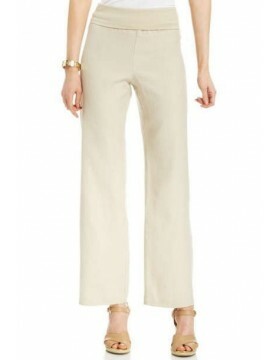 Calvin Klein Linen Wide Leg Trousers. A lightweight dramatic, wrap-style cardi is cut with an asymmetrical hem and secured with a single wood button at the neckline. 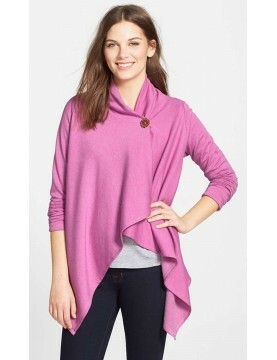 Dramatic, fleece wrap-style cardi is cut with an asymmetrical hem and secured with a single button at the neckline. 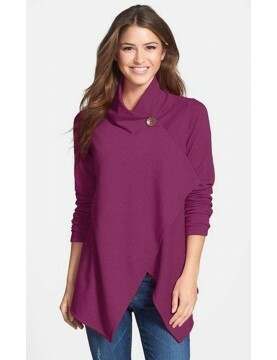 Boyseberry dramatic, fleece wrap-style cardi is cut with an asymmetrical hem and secured with a single button at the neckline. Introducing revolutionary tummy control in Lysse capri legging! The top yoke has a double layer of tummy-firming, 4-way stretch cotton/spandex knit with hidden 3/8" elastic at top edge.